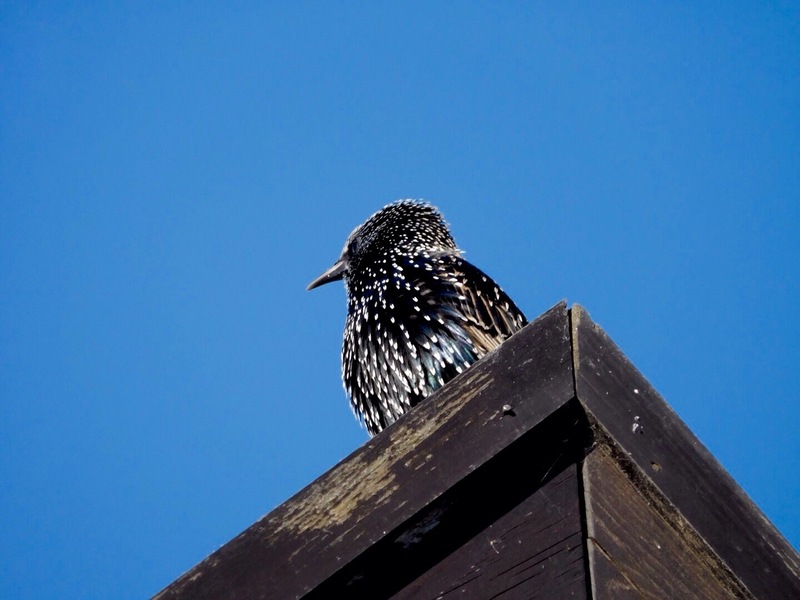 Starlings are very underrated birds. From a distance, they can appear to be rather drab and dull. Seen close to, however, they really are extraordinary, with a beautiful irridescent sheen to their plumage. They are also amazing mimics. The one in the photograph convincingly (and rather confusingly) imitated a level crossing warning, a mobile phone ringtone and a bunch of keys being rattled within the space of a couple of minutes. A few years back, they really would have been a beautiful everyday sight, but sadly their numbers are declining. So let’s appreciate them whilst we still can. You can find more (extra)ordinary photographs over on the Daily Post blog. I used to think of them as rock n roll birds when I was growing up on account of their slick shiny plumage and loud changing voices. It’s so sad that what we called normal is becoming rare – this is another example … world wake up!